Virtual Reality Start-Up? HTC got your back! 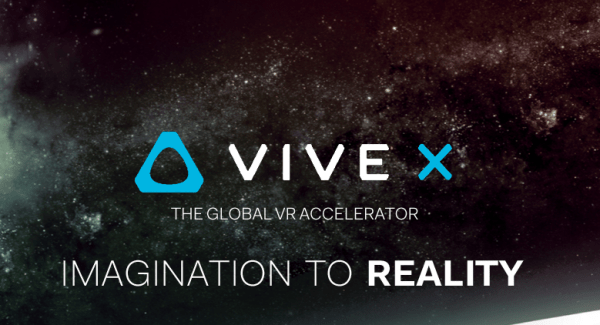 26 April 2016 – HTC Corporation (“HTC”), a pioneer in innovative, smart technologies, today announced it is launching Vive X, a global accelerator programme targeted at start-ups operating in the virtual reality (VR) space. With a $100m investment fund led by HTC, the programme is designed to help cultivate, foster and grow the global VR ecosystem by supporting start-ups and providing them with expertise, special access to advanced VR technology, financial investment, mentorship and unmatched go-to-market support – ultimately building them into valuable content producers or content enablers for the Vive platform. Starting in three cities – Beijing, Taipei and San Francisco, with a view to rolling out across other global hubs in the near future – Vive X offers start-ups the opportunity to be based in one of those cities for an initial growth period, during which they will have access to funding, leading VR know-how, hands-on coaching, and office space. They will also be invited to demo days, where leading investors will be in attendance, and to HTC’s offices for intensive training with our first-party development studios and to meet key members of the Vive engineering and management teams. In Beijing, Vive X will pilot in May 2016, when selected start-ups from around Asia will be invited to apply for the programme, with the goal of enabling those companies to grow with the Vive platform. As in the other locations, Vive X in Beijing is targeted at accelerating entrance and growth for companies with proven success in the VR industry, with each participating start-up receiving cash investment in return for a small amount of equity. The programme is open to companies from any industry that are creating content, tools, applications and accessories that enrich the VR ecosystem and end-user experience. “We are very excited about gathering the brightest and the most creative minds to join Vive X. Virtual reality is changing the world, yet to do that effectively it needs a healthy eco-system to expand into the mass market. Through HTC Vive, we look forward to enabling global talent to create interesting and compelling content and to help shape the future of this industry,” said Cher Wang, Chairwoman and CEO of HTC. Visit www.htcvive.com/us/vivex/ to learn more about Vive X and www.HTCVive.com to learn more about the HTC Vive.